From the wildflowers and vistas of the Lime Ridge Loop to the scenic outlooks of the Ohlone Trail, there are plenty of great hiking trails Concord CA residents and tourists can take advantage of, whether you’re an experienced hiker or a novice looking to get out into nature for a bit. 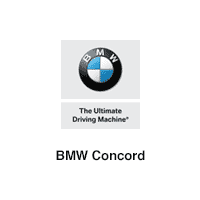 Check out our favorite Concord CA hiking trails with BMW Concord, your Lafayette area luxury car dealer in Concord where you’ll find lots of lease deals going on now! Lime Ridge is the most expansive outdoor reserve in Concord, CA, and the Lime Ridge South Loop trail is the most popular hike in town. This lightly trafficked trail provides beautiful views of the surrounding valley and wildflowers in the summertime, as well as moderately difficult terrain for some good exercise. For an easier hike with similar rewards, the Lime Ridge North Loop trail is a great choice for beginners. Take the Ohlone Trail to Buckeye Loop and enjoy scenic views of the area. With some steep areas and rough terrain, it is a moderately difficult trail where you’ll find a variety of other opportunities, including mountain biking and trail running. Just 15 miles southeast of Concord via N. Gate Road and Summit Road, Mount Diablo State Park offers an abundance of outdoor recreational activities, including a number of popular hiking trails. Donner Creek Loop Trail is perhaps the best on the list, featuring a stunning waterfall, beautiful mountain and valley views, and even horseback riding. It’s a muddy, steep, and moderately difficult trail, though the rewards are worth the sacrifice. No dogs allowed on this trail. BMW Concord is your guide hiking in Concord CA as well as cultural activities near Alamo. We’re also your source for world-class luxury and performance vehicles. Apply to finance a BMW online from our dealership, and then come by our dealership at 1967 Market Street in Concord, CA. And if you have any questions, feel free to give us a call!